routine is destroyed when she meets a mysterious stranger who won't take no for an answer. Sebastian intrigues her, but his eyes hold secrets she would rather avoid. Sebastian Chelios, a hard-as-nails enforcer, is a new-in-town loner. He has to have her. Control her. Possess her. But he can't--won't--lose control, even though Tori's innocence fascinates him. The last thing he's going to do is love her, even after he gets her in his bed. Losing control is dangerous, especially when someone from Sebastian's past covets Tori, putting more than just her heart in danger. Can Sebastian protect Tori from Jose's sadistic obsession? If he gets his hands on her, will she make it out in one piece? 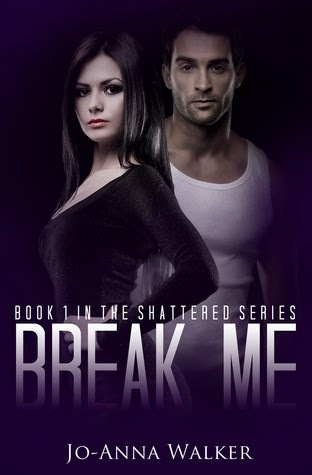 Break Me is a rollercoaster of emotions and the book flows beautifully, keeping you connected to the story and the characters throughout. The ending, OMG the ending! I was gobsmacked, thinking ‘you can’t leave it like that!’ and it kept me guessing. Luckily however, there is a second book, Always Me, that I will 100% be reading.